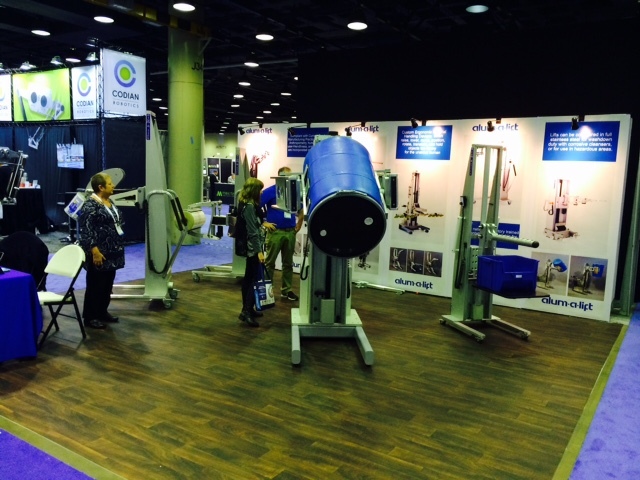 The Murray Percival Company recently participated in the Pack Expo at Chicago’s McCormick Place convention center. 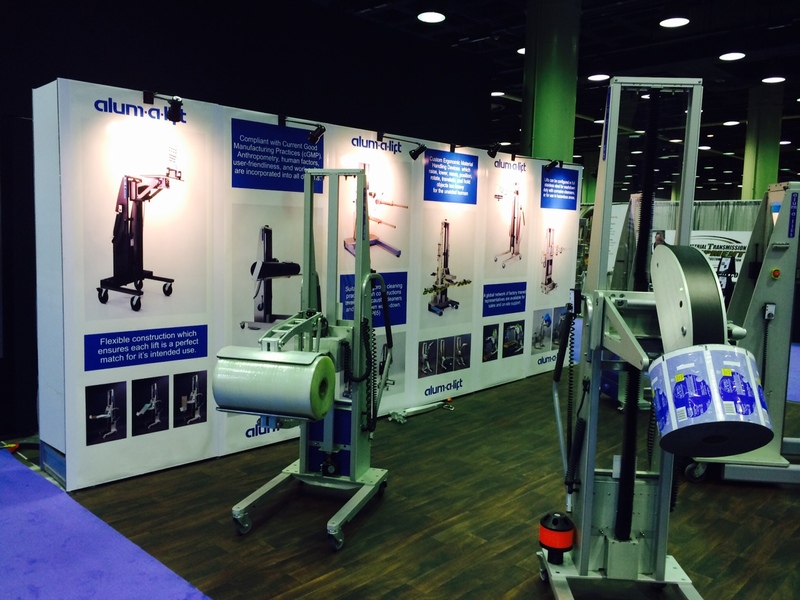 Pictured is the booth for Alum- A- Lift which is one of our vendors that exhibited at the show. Alum-A-Lift offers material handling ergonomic lifts that elevate, lower, move, position, rotate, translate and hold objects too heavy for the unaided human. The Murray Percival Company represents several manufacturers that offer solutions to the circuit board assembly industry but many other industries as well. Some other notable vendors are ECD whose Mole temperature profilers can measure the temperatures on a circuit board or even your favourite Keebler cookie when being backed. On-Site Gas who offer equipment to produce nitrogen for the wave soldering process which can be found in your favourite bag of potato chips keeping them fresh and tasty.